1. Double Rack & Pinion construction. 3. Life more than 1 million cycles. 4. Hard anodized body providing high corrosion resistance. 5. Additional lubrication is not necessary. 7. Pinion supported on large area of polyacetal bearings. 9. Can be converted to single acting by Just adding springs. 1. 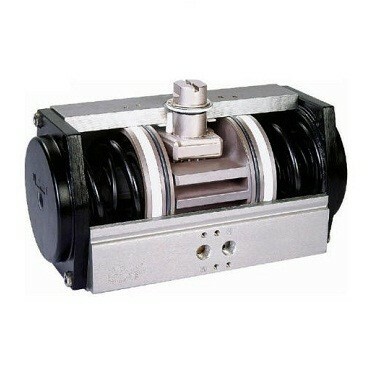 Setting the perfect opening and closing of the Ball Valve, will ensure a long life of the Ball Valve seats. 2. Extremely important for Pipe line pigging application. 3. +10° over travel setting possible for opening. 4. 5° under traveling can be adjusted.